They were beautiful girls. Popular. Rich. Lost. 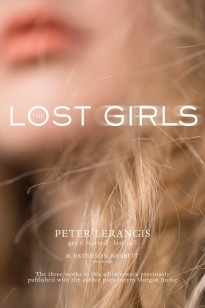 The first girl to go missing was found dead years ago. But they caught the killer—the killer from Talcott Prep. The same school Kristen and her friends attend when they’re not busy partying at the local hot spot. There, the past is forgotten. But after Kristin’s best friend, Sam, leaves with a mysterious stranger, she’s found days later … dead. A copycat killing of the murder from years before, Sam’s death is only the beginning when a number of girls begin to go missing. And as the death toll rises, Kristen wonders if the killer will ever be caught. Or will she be next? The three works in this edition were previously published with the author pseudonym Morgan Burke.